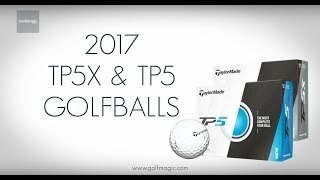 Longer overall distance than other premium balls. Higher launch angles than comparable balls in the same class. Excellent soft feel and control around the green. 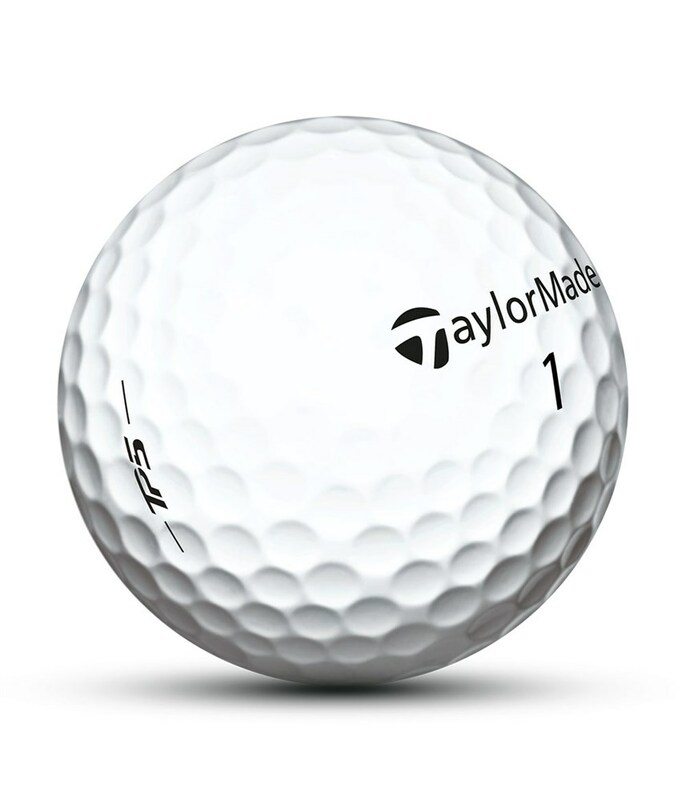 The 2018 ball is perfect. 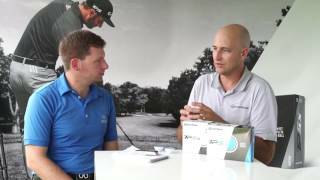 Find it performs really well both off the tee and around the greens. And with the sale on it's a no brainer. 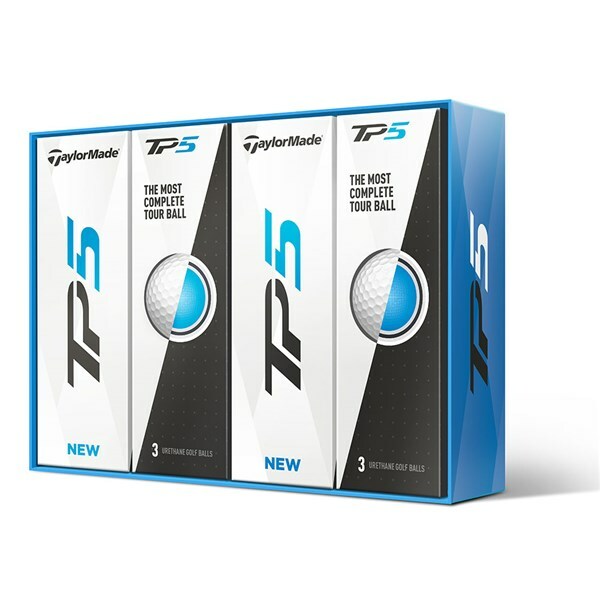 Excellent golf ball in all aspects of my game, also has excellent durability. 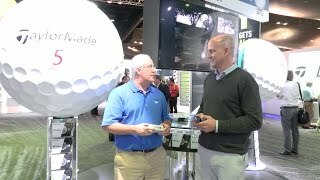 I’ve been using the normal Pro V1 ball ever since I started playing golf, but tried out this ball back in the summer and switched almost immediately! 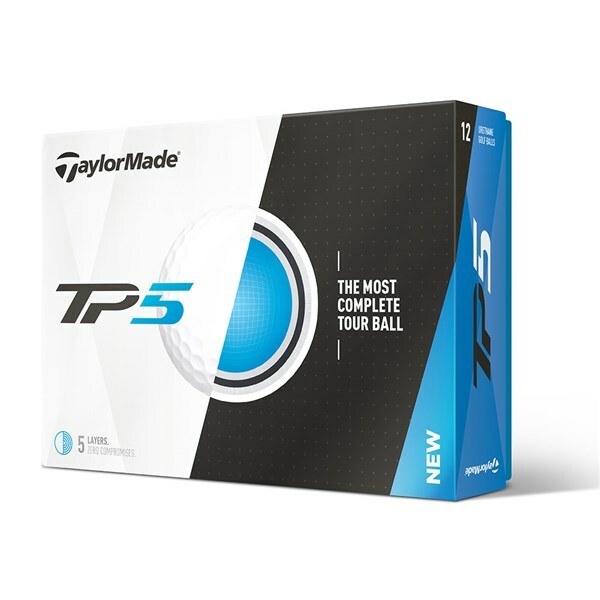 It’s by far the best ball out on the market and I would highly recommend it to any golfer getting serious about their game! 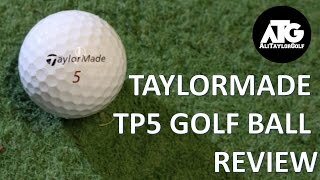 5 out of 5 TaylorMade! 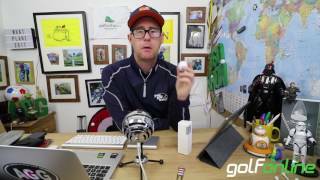 I tested it to replace my Pro V1. 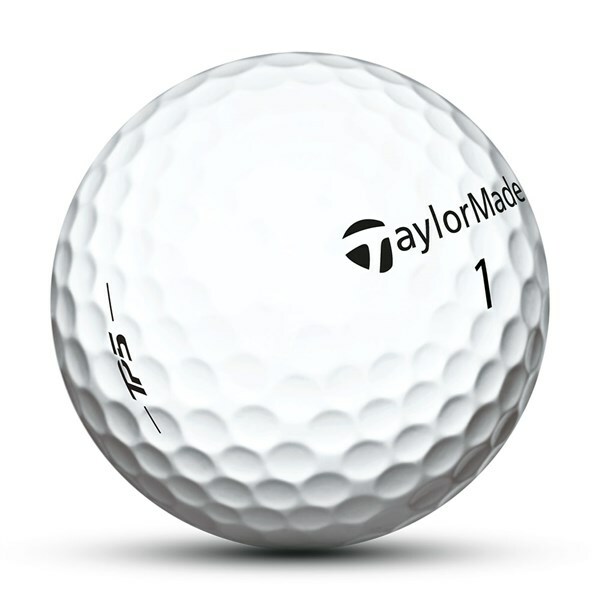 Very good ball, similar to the Titleist. Very good feeling, distance and easy to control. Great value when purchased with free personalisation and 4 for 3. This ball ticks all the boxes. These balls are very user friendly. 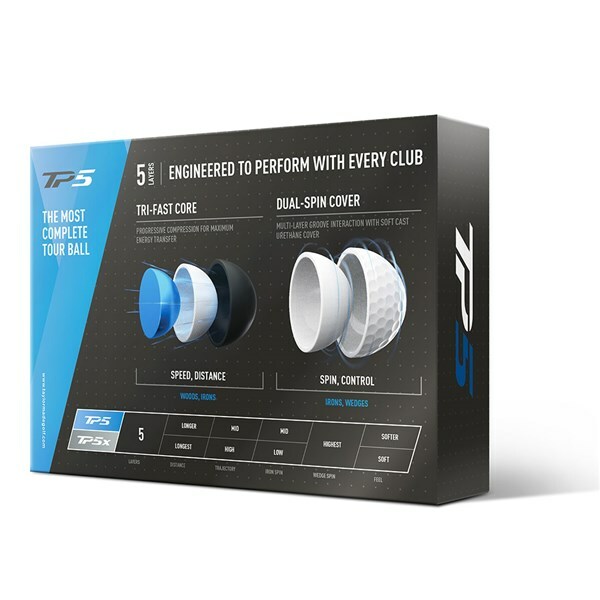 They have excellent levels of spin right through a range of clubs and feel great on the greens too. Would recommend them thoroughly. 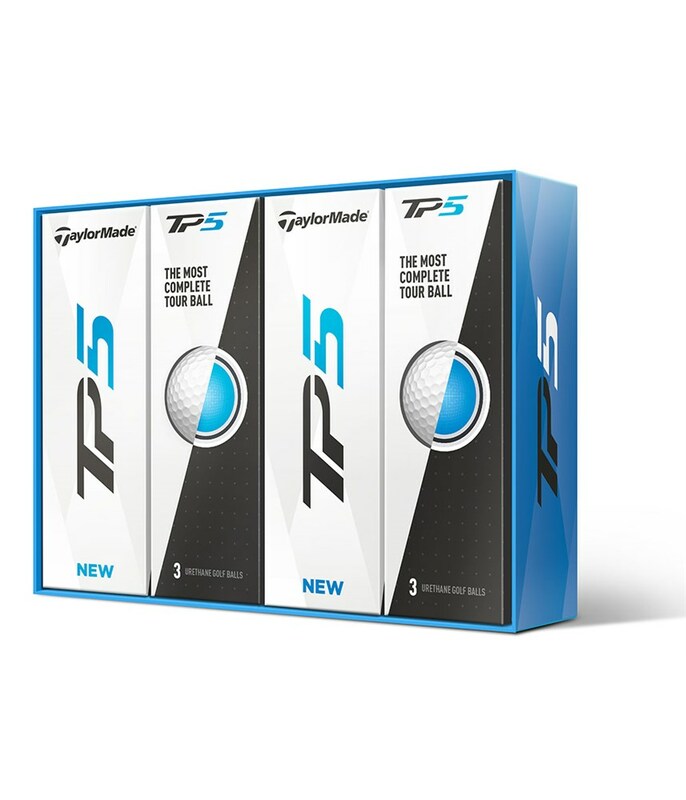 The best ball on the market at the moment. Excellent performance especially playing in wind! 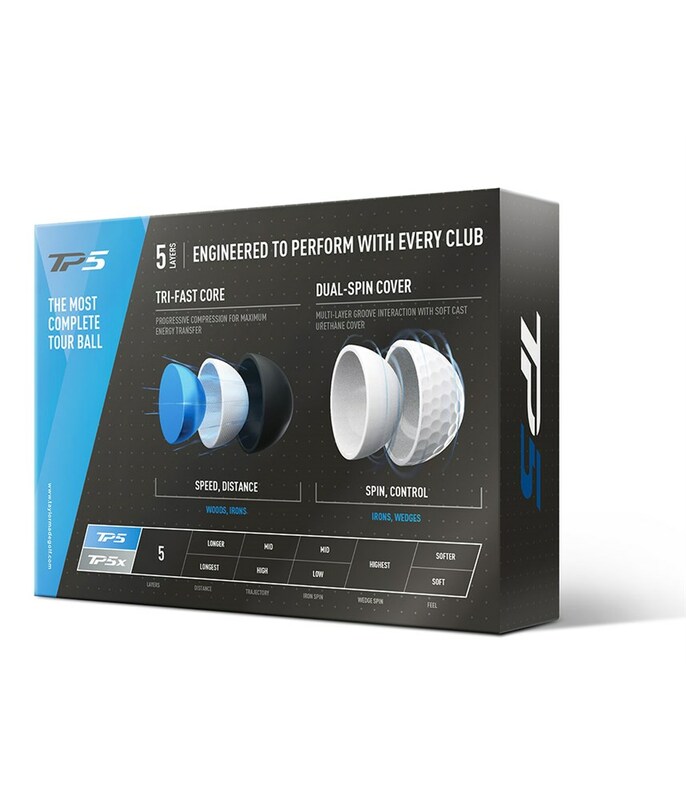 The TaylorMade TP5 golf ball features a 5-layer construction that has been specifically engineered to benefit every club in your golf bag. 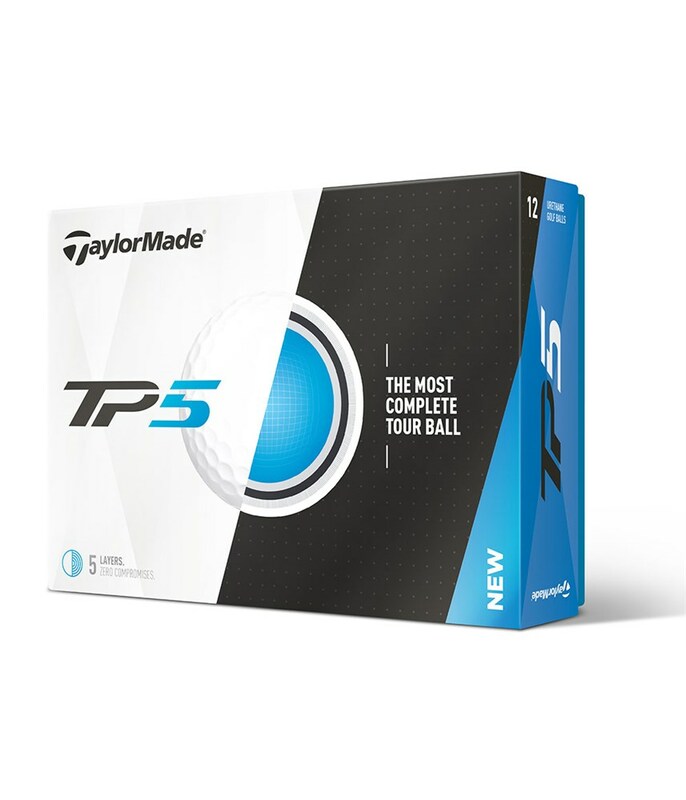 TaylorMade have developed this 5-layer golf ball with a Tri-Fast core technology that gives the ball progressive compression and maximum energy transfer that leads to incredibly fast ball speeds of your longer clubs for enhanced carry distances.